In a world plunged into darkness by a sudden eclipse, a horde of evil (yet suspiciously cute) monsters threaten to engulf everything in chaos. A glimmer of hope appears in the form of Corona, a young Mage eager to battle the assaulting waves of dark forces. Corona swears to find the source behind the attacks and stop the monsters once and for all! 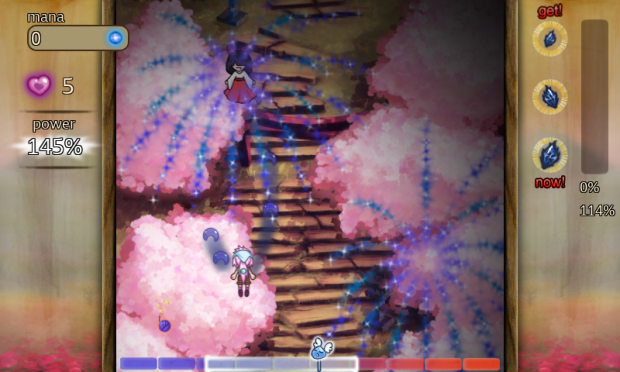 Corona is a single-player Shoot ‘em Up game for PC, with bubbly anime-style visuals. 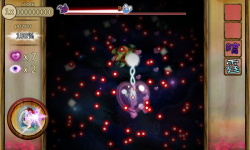 Heavily influenced by bullet hell games such as Touhou (though as developers we haven't really even played these games...), Corona features interesting characters, cute monsters and swarms upon swarms of bullets that can decimate the player with the slightest touch. Clear the stages by destroying waves of monsters, avoiding countless bullets and struggling through desperate boss fights. Gather and manage power ups and purchase new skill levels to boost your chances for victory! Sound familiar? 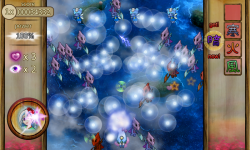 Corona was originally a Windows Phone 7 game released in December 2010 by Kajak Games (still found in the Windows Phone Marketplace as a Full Version and as a Demo Version). Having fallen into a state of complete inactivity, we are now resurrecting the game as a full-fledged PC game with an immense amount of updated material! Feel like trying out Corona right now? You can download Corona Radiance, a Windows Development build converted from the original Windows Phone 7 game. Read more in our full article or download the game from the button below! Remember to check out our brand-new official website, Nya Nya Corona! I've been really busy with moving and work lately, along with some nasty physical malfunctions that prevent me from staying too much on the computer, so Corona will be updated very slowly for a while now. I'm really sorry about the sudden silence and lack of updates! I'll do my best to see what I can do about some new things, but sadly can't promise anything anytime soon ._. Cuteness Comes in a Kettle! Read the short story behind the Tanuki Teakettle and watch the video of the epic miniboss fight against the furry creature inside this article! Results for the Grand Mini-boss Voting Competition! The results for our Grand Mini-boss Voting Competion are in! Peek inside to find out who won! Join our voting competition to decide the new mini-boss of Gates of Tranquility, or draw your own entry! After a long break, we’re introducing one of our new stages, along with monsters and bullet patterns you can expect along the way! The full Radiance development build of Corona for Windows. The Complete Soundtrack of the Windows Phone 7 version of Corona. Great game to kill time on. Would definitely like to see this get developed into something better. Keep it up. Ah yes, we're currently making a new version, titled Corona: Shadows of Vaniria, that has a completely new campaign. The articles and updates here on our IndieDB page center this new version almost exclusively. Sadly, it's not quuuite ready to be released yet (even as a demo), but we do try to hand out information as fast as we can! The version that can currently be downloaded here is an old development build that has some updated material that never made it to the Windows Phone 7 Marketplace, but that we sadly cannot build on any further. The codebase was simply too messy, so we had to create a completely new foundation to build on. it looks like Touhou Project! Corona does have its roots in Touhou kinda. I saw some people play Touhou for like five minutes, and I was wondering what it would be to program something like that... Guess it kinda got out of hand from there on out. Will this be fully free or just updates until the final release which will have a cost? Thanks for the info, I'll definitely download it again when it's finished!